← Disc Golf- Share the Love! Last year’s Memorial Open winner Paul McBeth, and friend and fellow touring disc golfer Brittany Blair are starting a blog for the season. As we all know, there are dry spells of information with the professional disc golf tour. In Massachusetts for example, there isn’t much buzz about the Beaver State Fling. Our only exposure to it might be a handful of clips on YouTube, and a couple of articles on the PDGA website, even though it’s considered a major stop on the National Tour for most pros. This blog will hopefully be a way to keep in touch with some of the details lost in the shuffle. It only makes sense- so many of these players are willing to interact with their fans and this blog proves it. They encourage comments, and welcome the interaction! So check it out, bookmark it, and check back weekly (or even daily, we’ll see…). 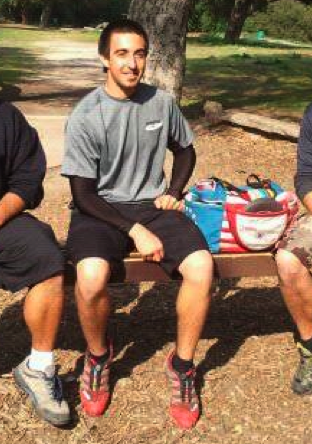 Paul McBeth and Brittany Blair’s blog: PBWorldTour. This entry was posted in Touring Pros and tagged blair, blog, brittany, disc, golf, mcbeth, paul, pbworldtour, pros, touring. Bookmark the permalink.